ACCORDING TO The Scotsman, to call Tyrone comedian Owen O’Neill 'stand-up' "doesn't do him justice. This is genuine comedy from the gut, a true original”, as Galway will see next week. Owen O’Neill plays the Comedy KARLnival at the Róisín Dubh on Tuesday October 2 at 8pm. 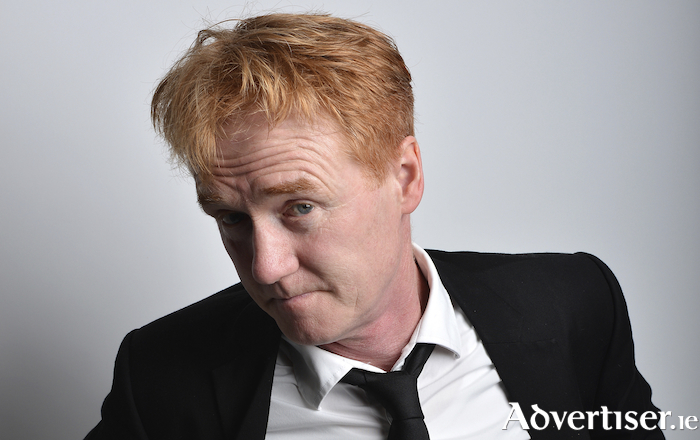 Since making his stand-up TV debut in 1985 on Saturday Live, O'Neill has guested twice on Late Night with Conan O'Brien; become an annual visitor to the Edinburgh Fringe Festival where he has produced, directed, and starred in eight one man-shows; and won a string of awards including two Fringe Firsts, the Edinburgh critics award for best comedy, and the LWT award for best original one-man play. Also on the bill is Cork comic Kevin O'Sullivan, a regular hosts and headliner in leading Dublin comedy clubs; and Michael Rice, who has played major clubs in Dublin, Barcelona, and London, and appeared at the Edinburgh Fringe Festival and Vodafone Comedy Carnival. The MC is Karl Spain. Tickets are €6 in advance from the Róisín Dubh; www.roisindubh.net; or [email protected], Shop Street; or €8 at the door.